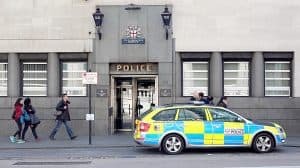 In order to protect the heath and safety of officers, police in the City of London have been given the sign-off to use spit guards when making arrests in the Square Mile. 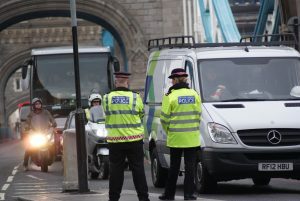 Police in the City of London will be given the powers to use spit guards and leg restraints. The force is likely to introduce the equipment next year following feedback from officers and the City of London Police Federation. The spokesperson did not disclose the budget for the equipment or the number of officers who had been under attack and felt that spit guards or leg restraints could have helped. The force is looking at guidelines for their use and how they would be supervised, and is likely to agree a policy early next year. The move was welcomed by the City of London Police Federation which described it as “a great decision”. The Police Federation is campaigning nationally under the banner ‘Protect the Protectors’ for forces around the country to be allowed to use such devices. A new law came in last week doubling the maximum sentence for assaulting police and other emergency workers from six to 12 months. It said the risk of catching a disease from saliva is low, but officers may need anti-viral treatment amid the uncertainty of infection. Currently, a person who spits at an officer does not have to give a blood sample which would let police know if they were at risk of certain diseases, said the Police Federation. “This can obviously have a big impact on their day-to-day life and on their mental health,” a spokesperson added.